issue, I’d like to share my holiday movie tradition I do with friends and family. This time of the year, we are all so busy cooking, baking, shopping, wrapping, sitting in traffic, or watching our children’s holiday concerts that the idea of enjoying a movie or ten seems unattainable. That is, unless, you make it a part of your holiday routine. It begins December 1. I go into the basement and search for the box that contains my Christmas music and movies. Sometimes it’s a challenge, but once I find it, I separate all the DVDs from the CDs and head up to the family room with movies in hand. There seems to be some magic in the air when I pop in the first movie of the season, “National Lampoon’s Christmas Vacation” (1989–Dir. Jeremiah S. Chechik; Chevy Chase, Beverly D’Angelo). This is always the first one I watch to launch me in to the Christmas spirit. Some of the other films are considered classics: “Miracle on 34th Street” (1947– Dir. George Seaton; Edmund Gwenn, Maureen O’Hara, John Payne, Natalie Wood), some are just fun: “Home Alone” (1990–Dir. Chris Columbus; Macaulay Culkin, Joe Pesci, Daniel Stern) others are animated: “The Polar Express” (2004–Dir. Robert Zemeckis; Tom Hanks), some are even musical: “Scrooge” (1970–Dir. Ronald Neame; Albert Finney, Alec Guinness) but all help me get in the spirit and keep me going through the season’s hustle and bustle. 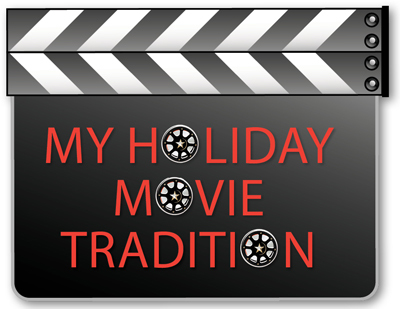 It’s funny, some movies I can watch once or twice, but there is something different about Christmas movies – I look forward to watching them each year. I hope you all have a wonderful and safe holiday season. During your extremely busy December, find some time to enjoy a magical holiday movie. Watch them with a loved one, or have a holiday movie night with friends (they all will have their own favourites), even put one on while wrapping presents – I guarantee it will put a smile on your face or maybe a tear in your eye. Thank you for reading my movie picks over the years, I will continue bringing you more great films in 2012.